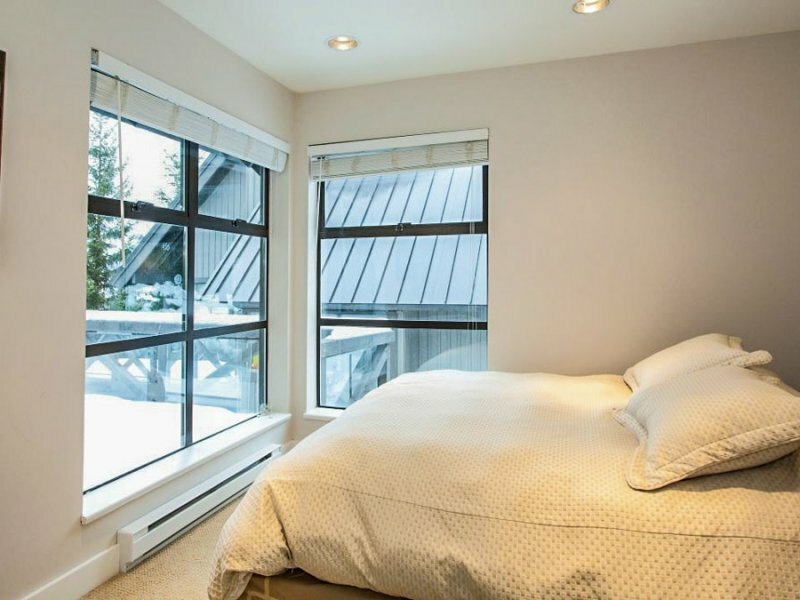 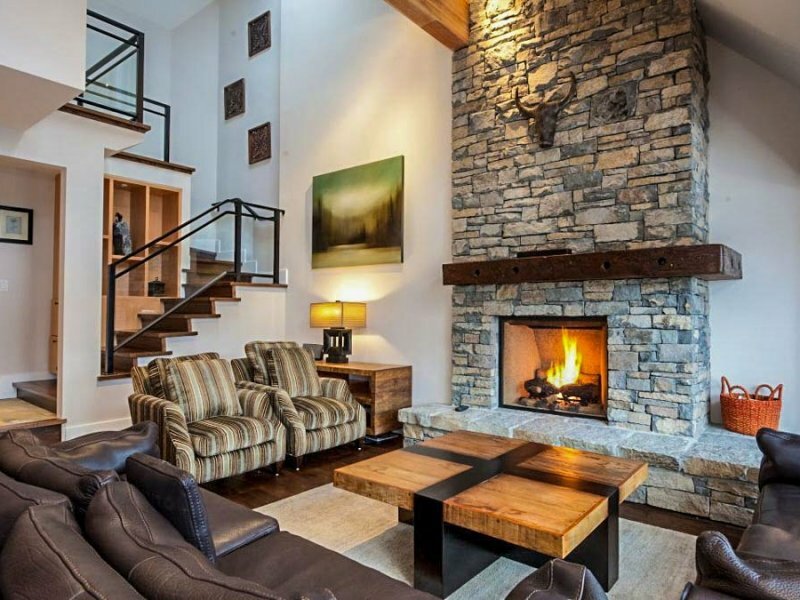 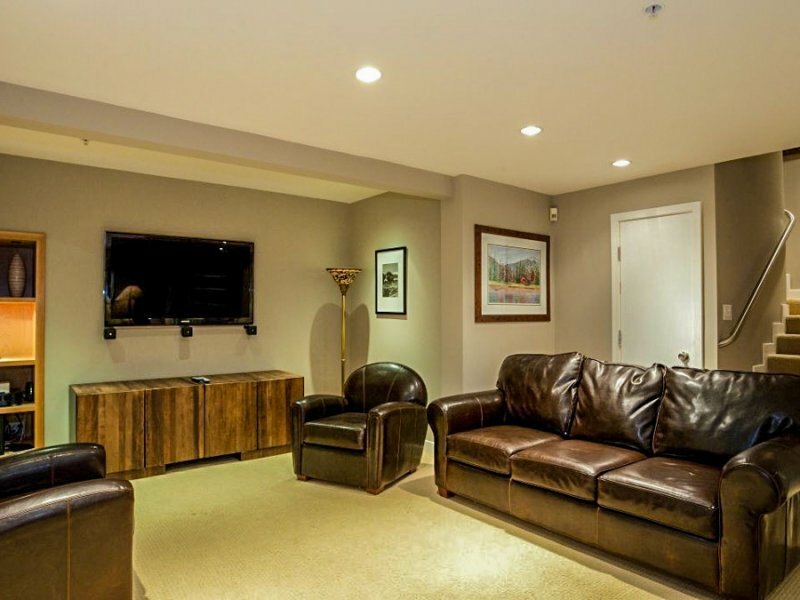 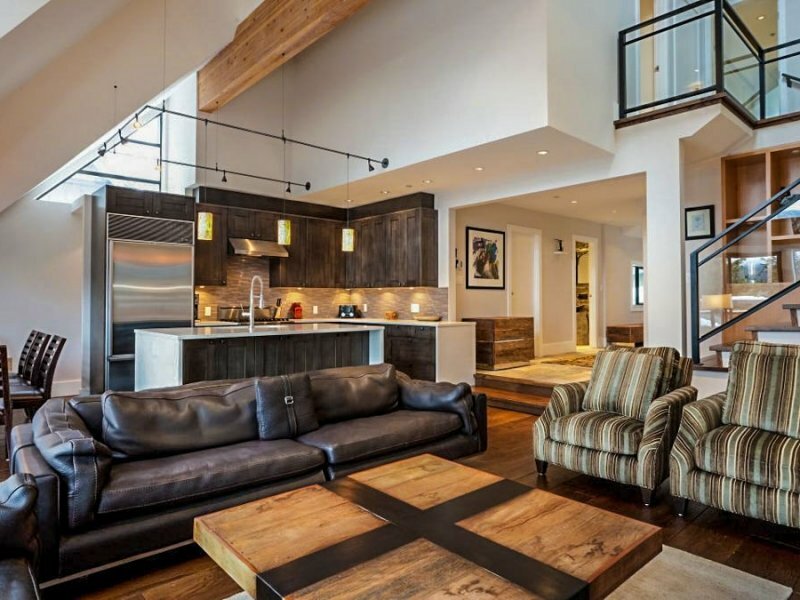 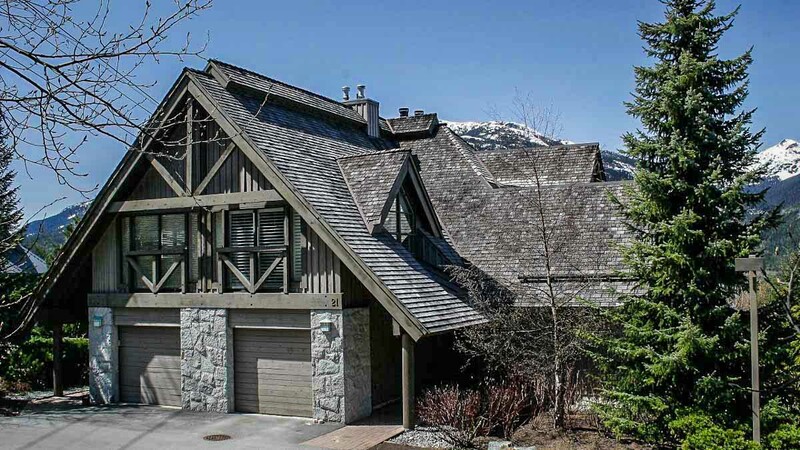 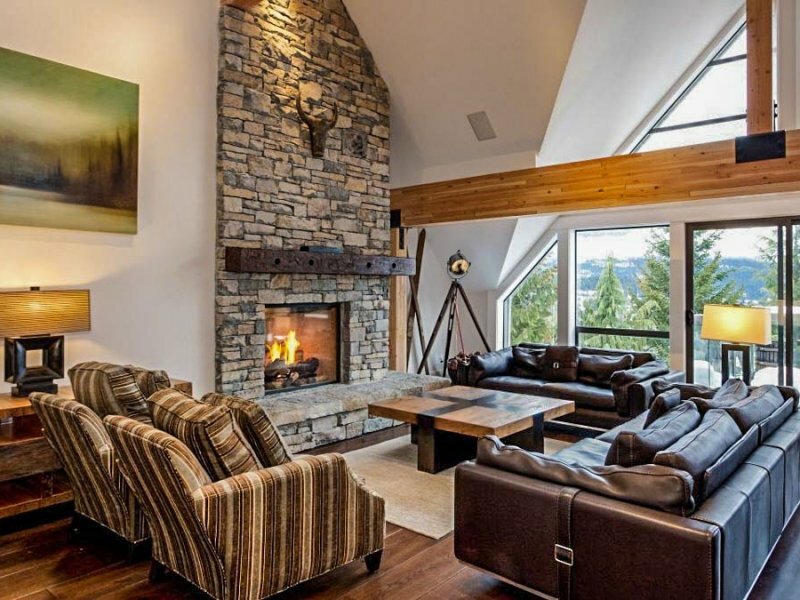 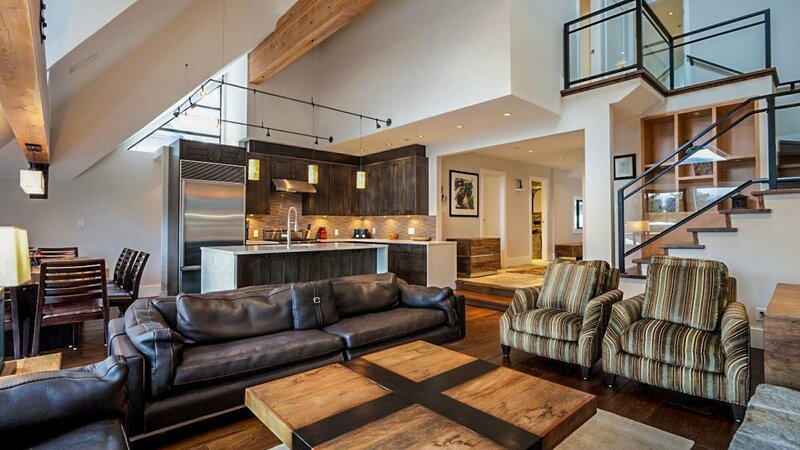 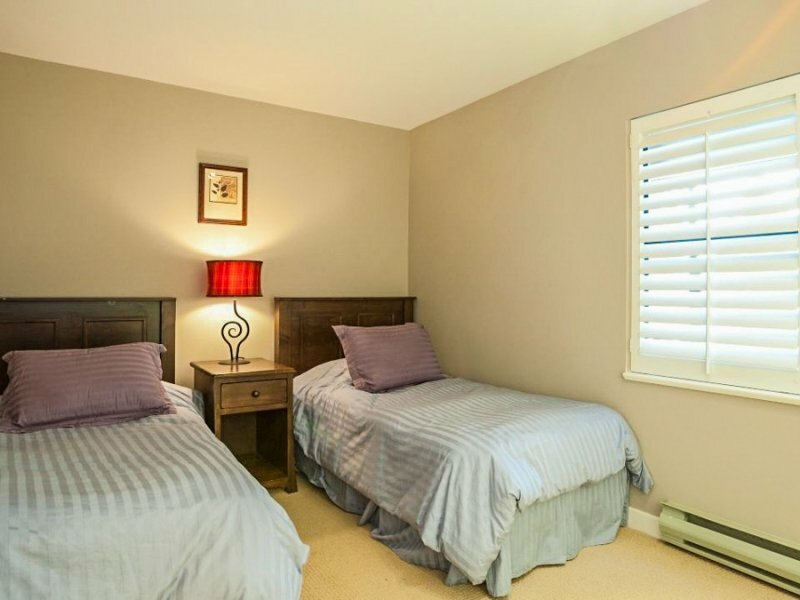 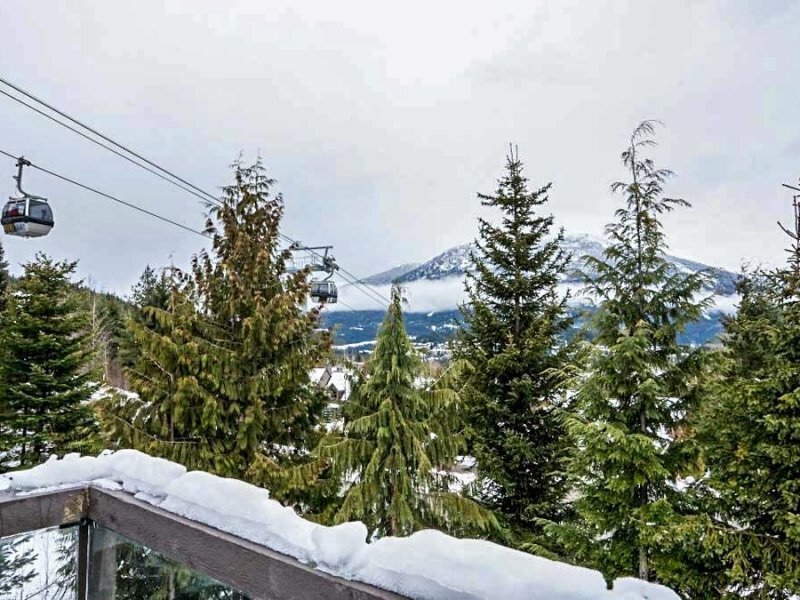 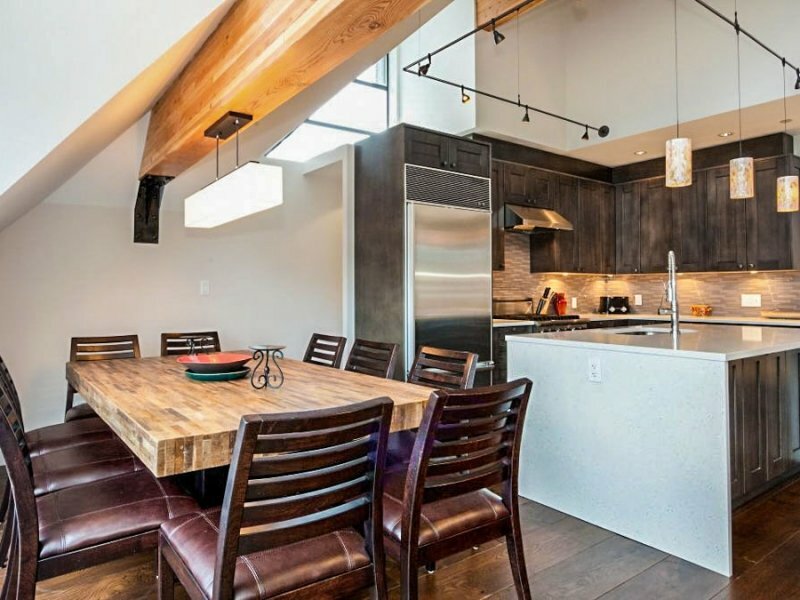 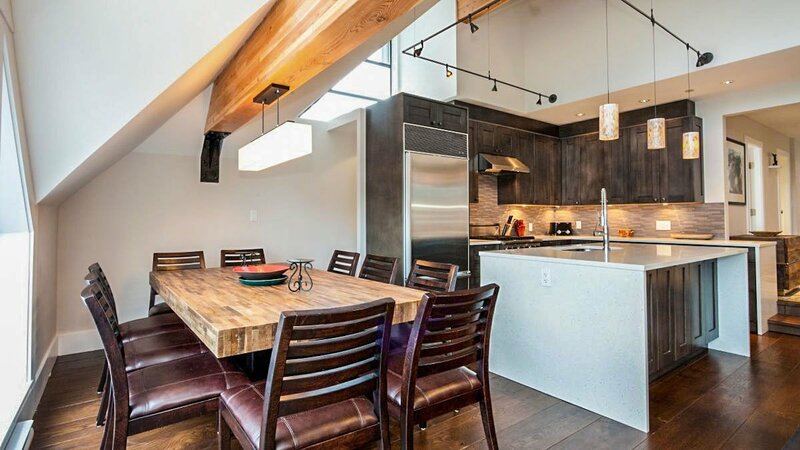 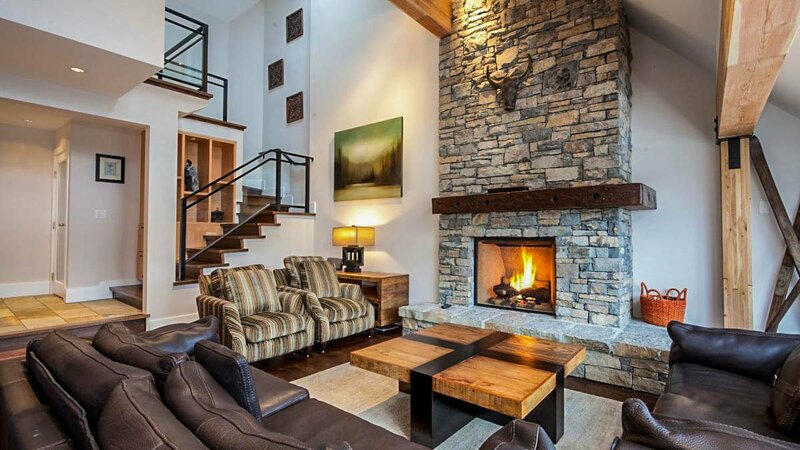 This warm and inviting five bedrooms, three and a half bathrooms, three level townhome has some of the best access to a ski-in-ski-out trail leading down Blackcomb Mountain and is within a short distance of Whistler Village and the Upper Village on Blackcomb. 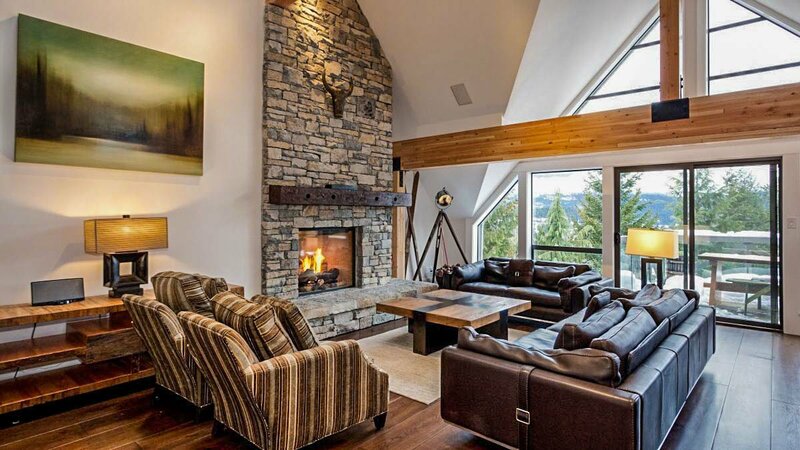 Vaulted ceilings and floor to ceiling windows offer expansive views of the surrounding mountains. 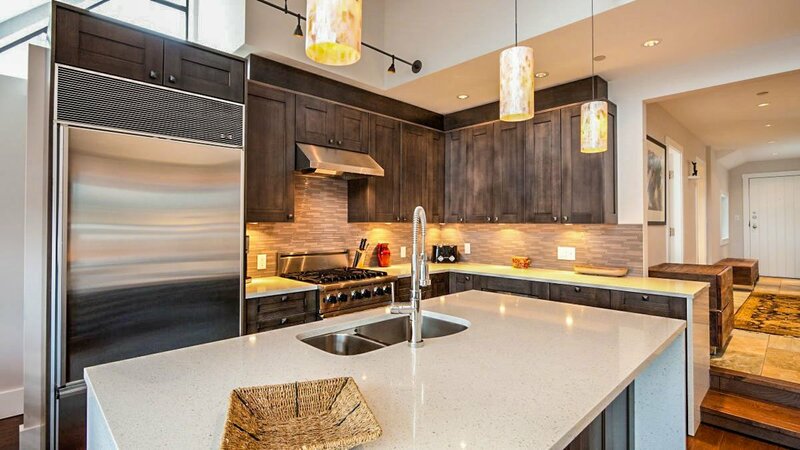 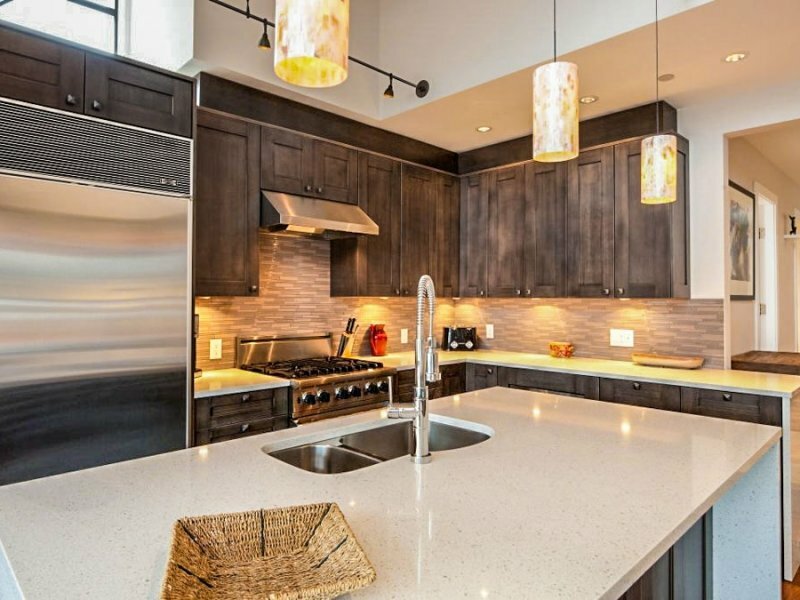 The modern kitchen features stainless steel appliances and gas range cooktop. 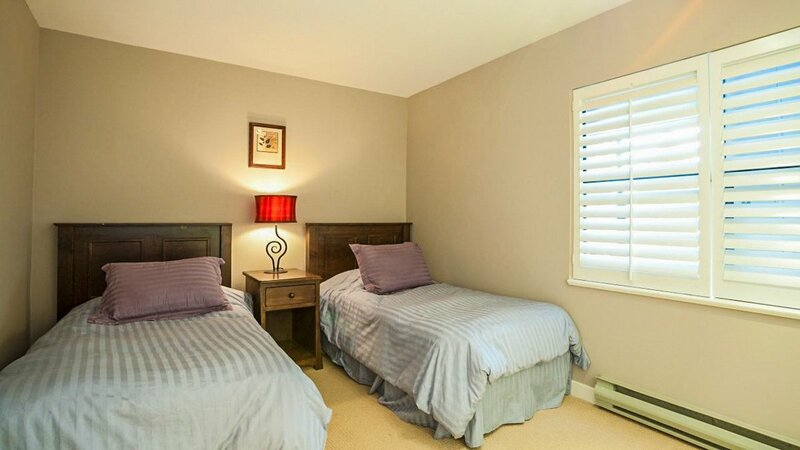 The dining room seats 10 comfortably. 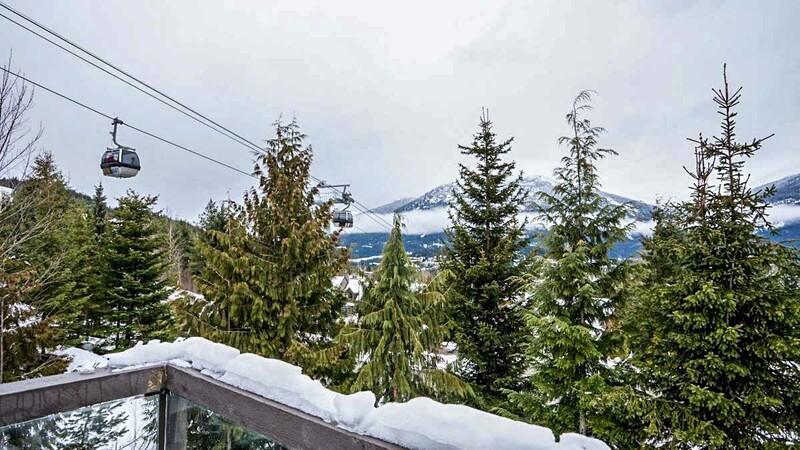 From the dining room you can access the wraparound deck that features a BBQ, outdoor lounge and views of the Blackcomb gondola passing overhead. 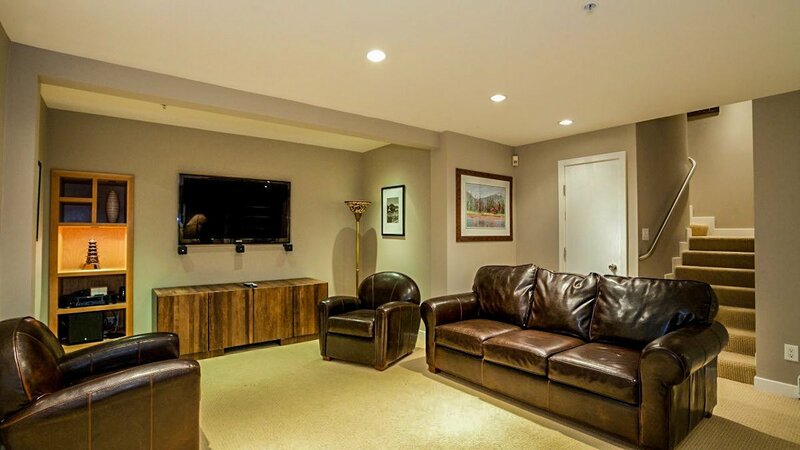 Downstairs the family media room features a flat screen TV, Surround Sound, iPod Stereo and DVD player. 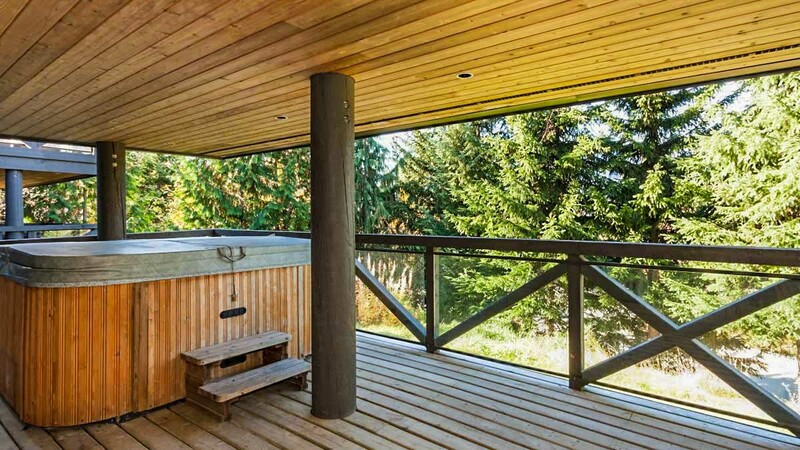 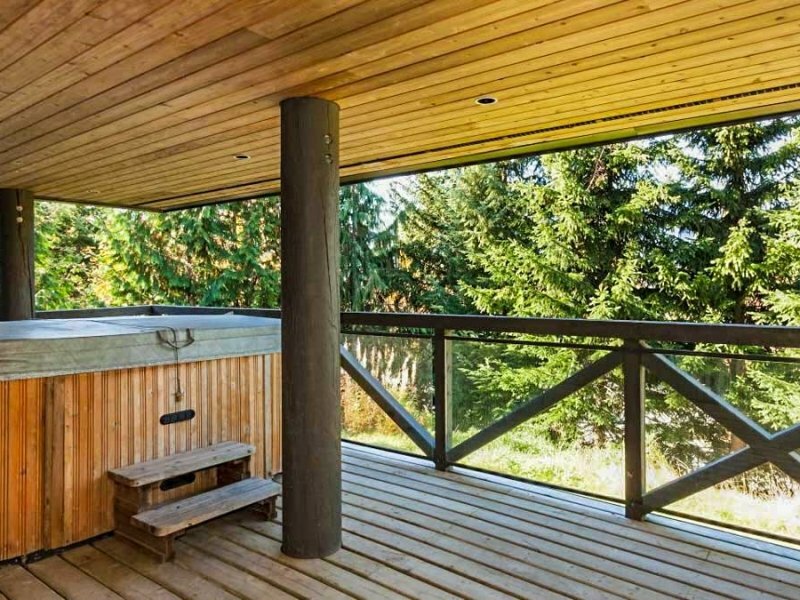 From this room you can access the expansive lower deck that features a private hot tub. 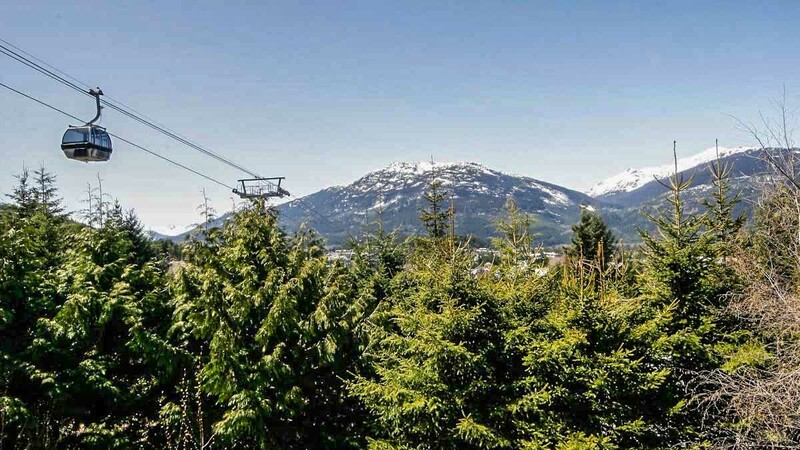 The Pinnacle Ridge complex provides direct ski-in-ski-out access to the Yellow Brick Road Run to the base of Blackcomb Mountain and The Wizard Express Chairlift. 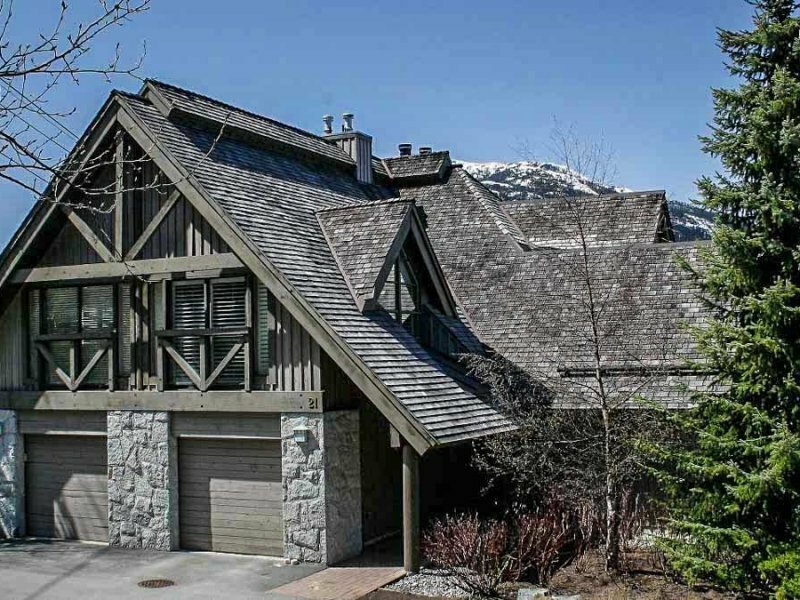 It is a short walk along Glacier Drive from the Pinnacle Ridge townhomes to the ski access. 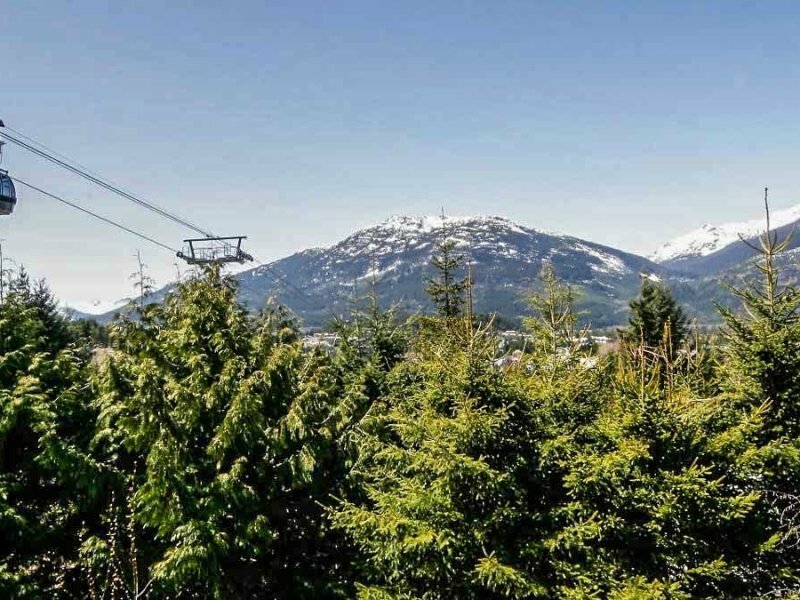 Ski home via the Yellow Brick Road Run and the Pinnacle Ridge complex will be to the left of the run and left of Tower #6 and #7 of the Magic Chair. 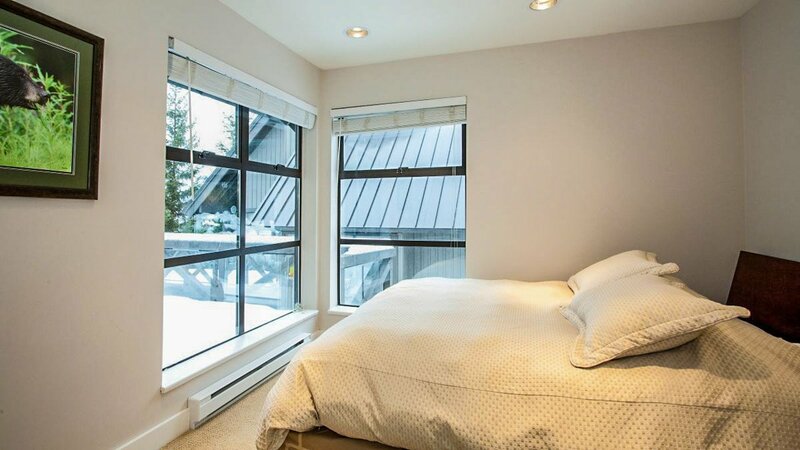 Pinnacle Ridge 21 features a single car garage, heated floors, in-suite laundry and complimentary wireless internet. 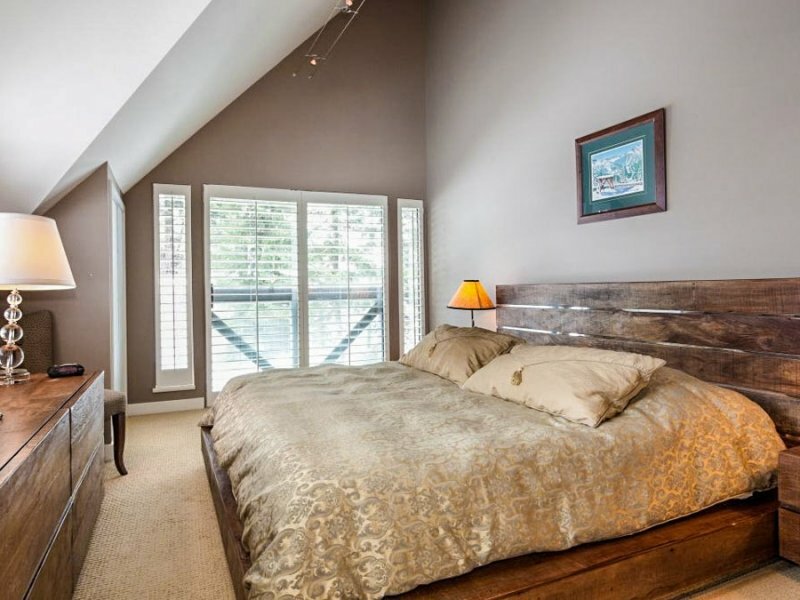 Upstairs the master bedroom features a king bed, flat screen TV and an ensuite with a bathtub and overhead shower and spacious single vanity. 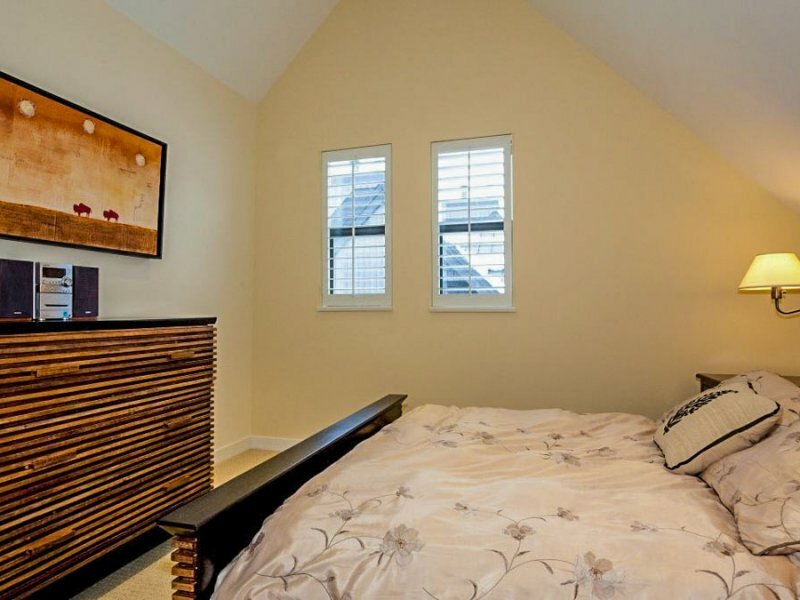 The second guest bedroom on this upper level features a queen bed and stereo. 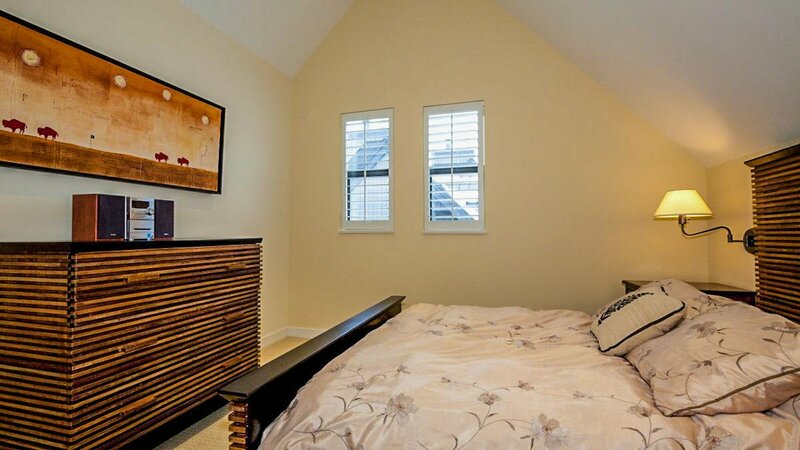 On the main level the third guest bedroom features a double bed and an ensuite with a glass-enclosed shower. 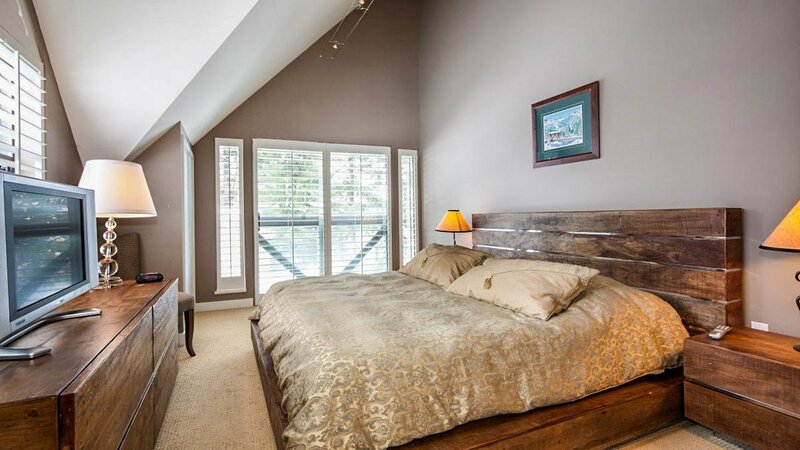 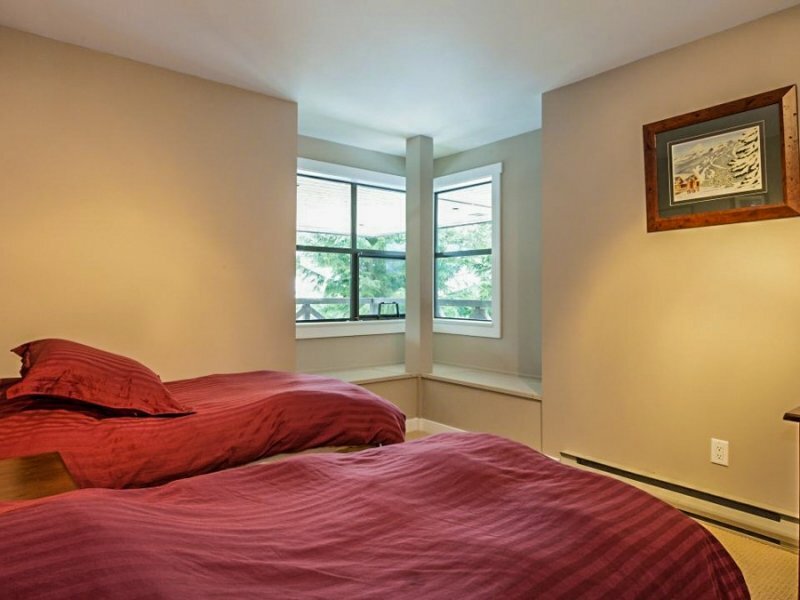 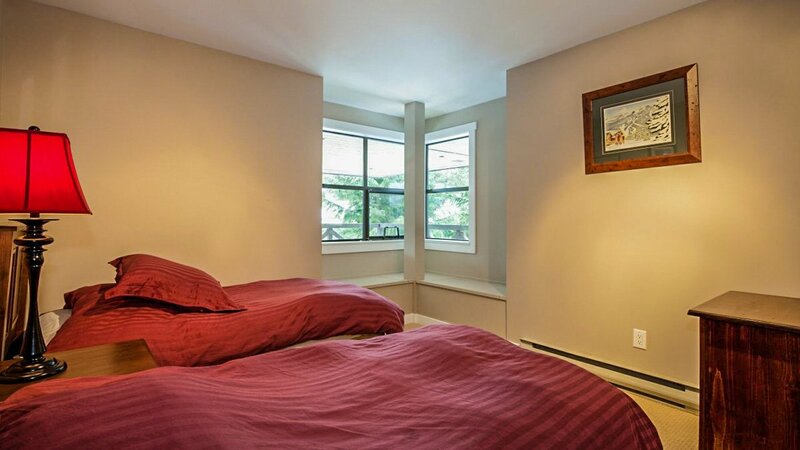 On the lower level there are 2 more guest bedrooms each featuring a king split bed. 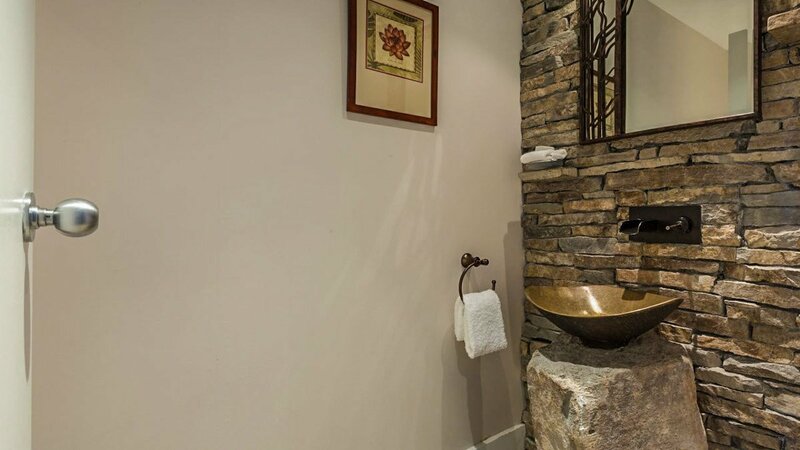 The separate bathroom on this level features a bathtub with overhead shower and double vanity. 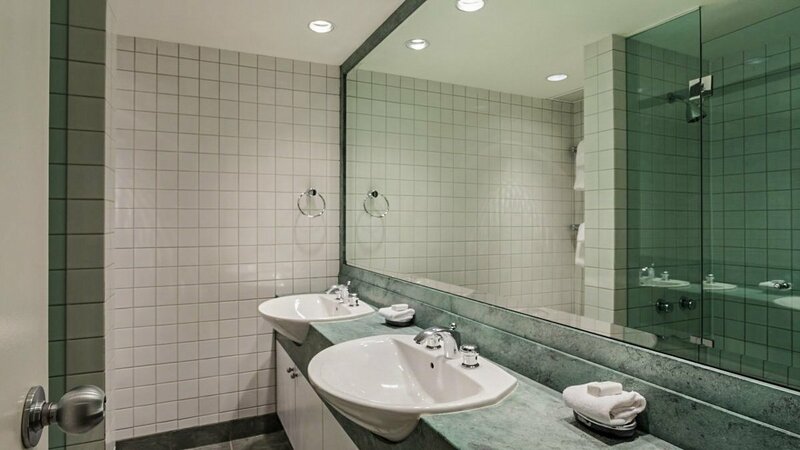 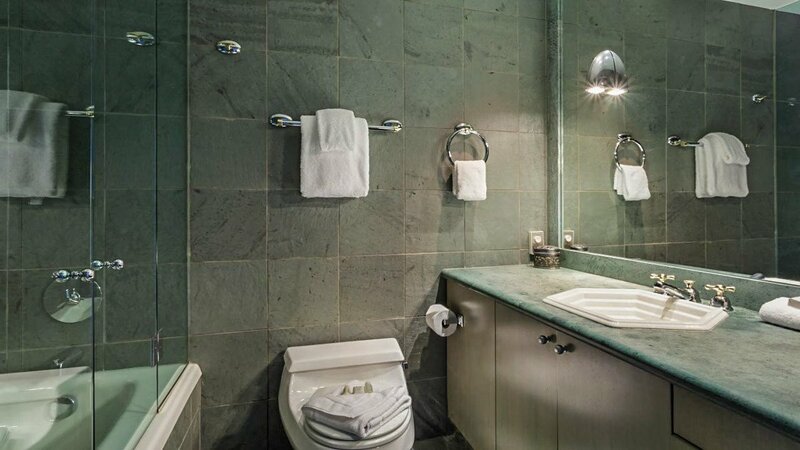 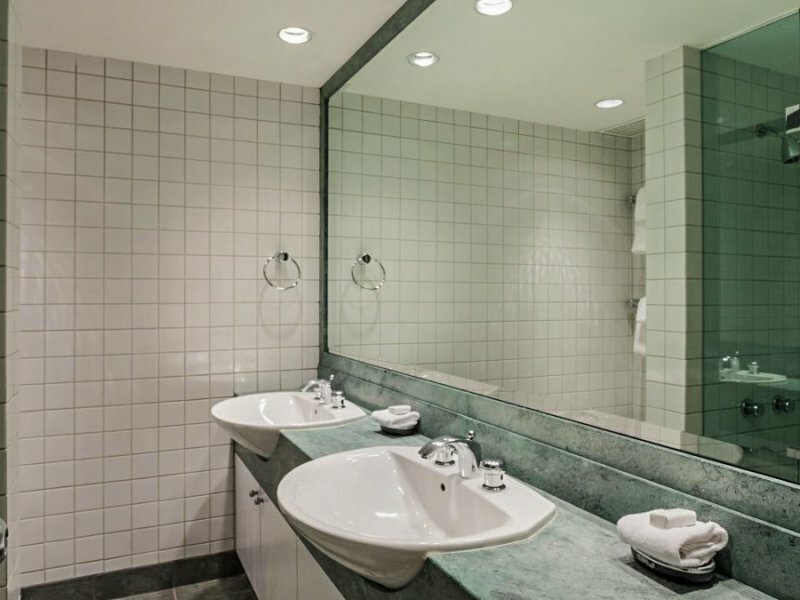 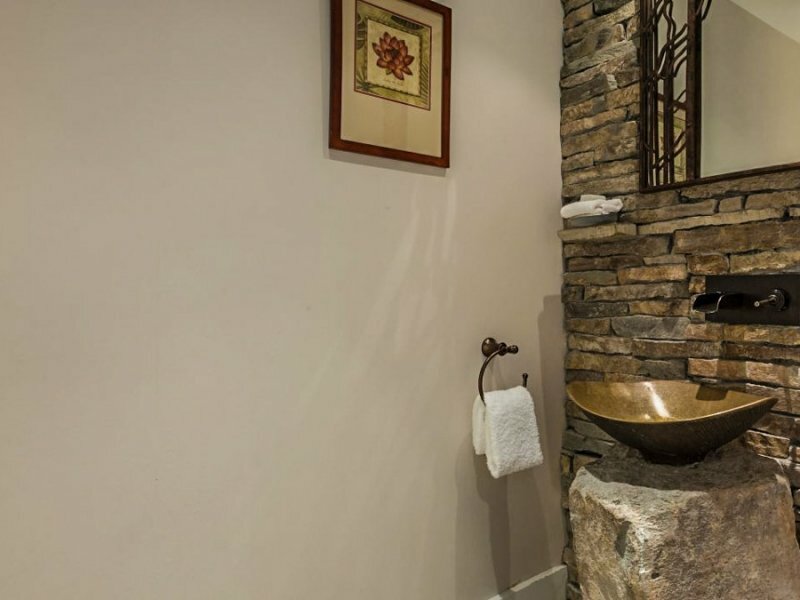 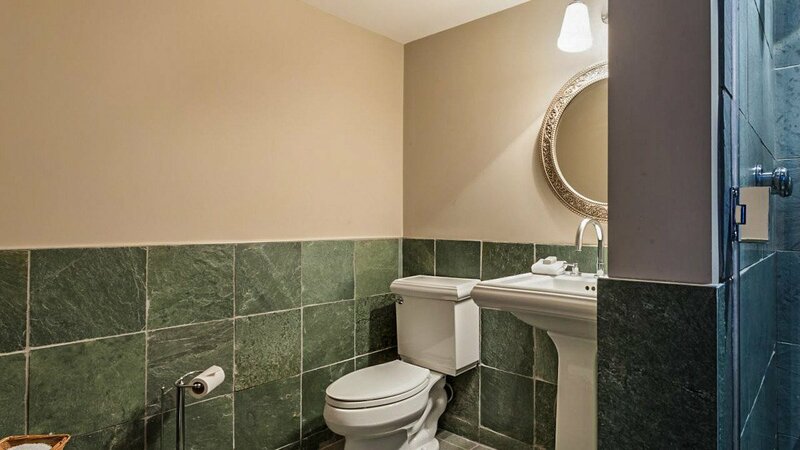 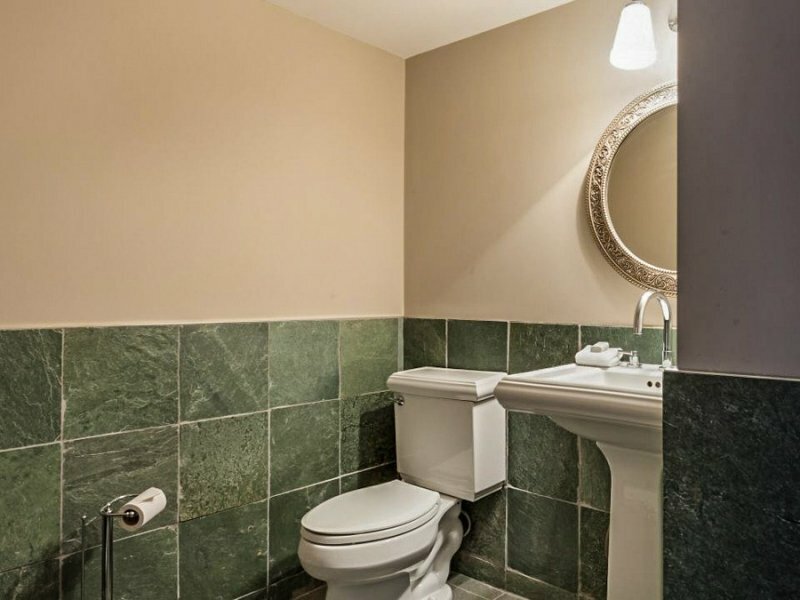 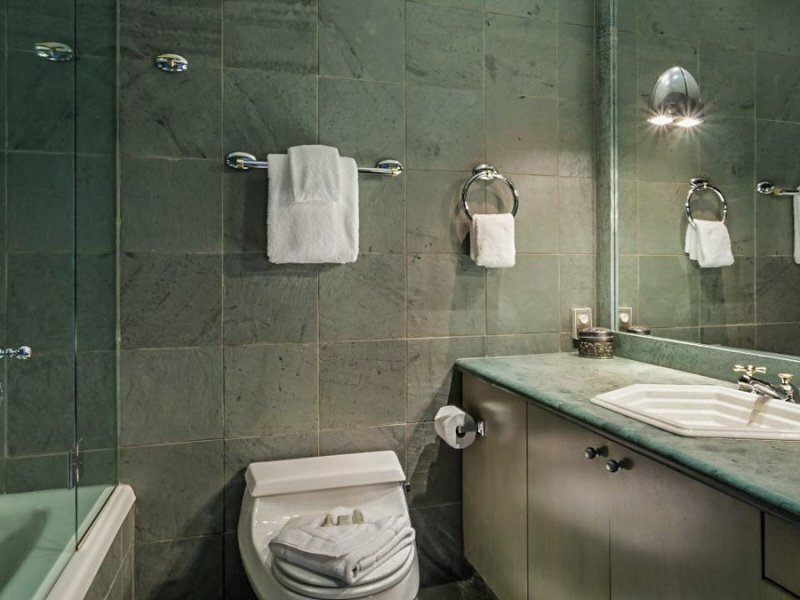 For added convenience, there is a guest powder room on the main living level.